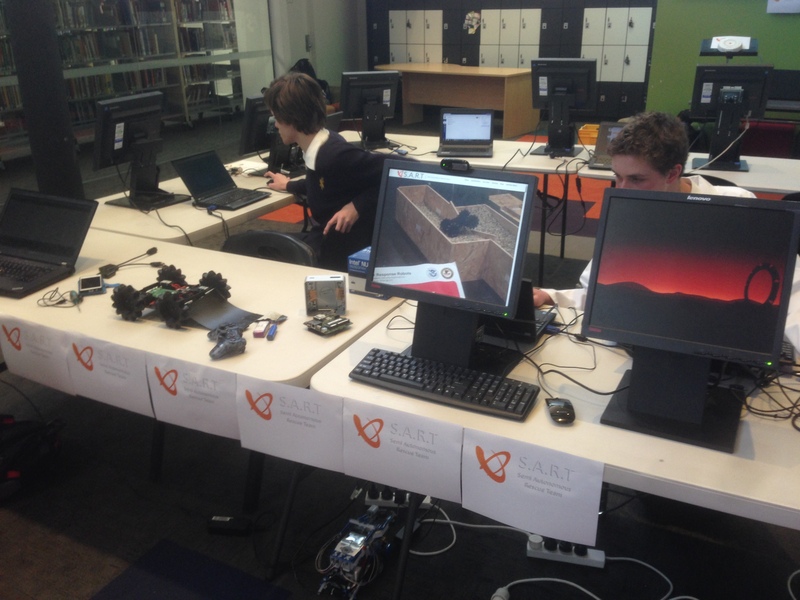 As part of the Kaleidoscope Electives Showcase at St Francis Xavier College, the S.A.R.T team are showing their stuff at the Information Technology booth consisting of a number of technological attractions. We created a S.A.R.T stream on the big screen, using the exact same technology as before. 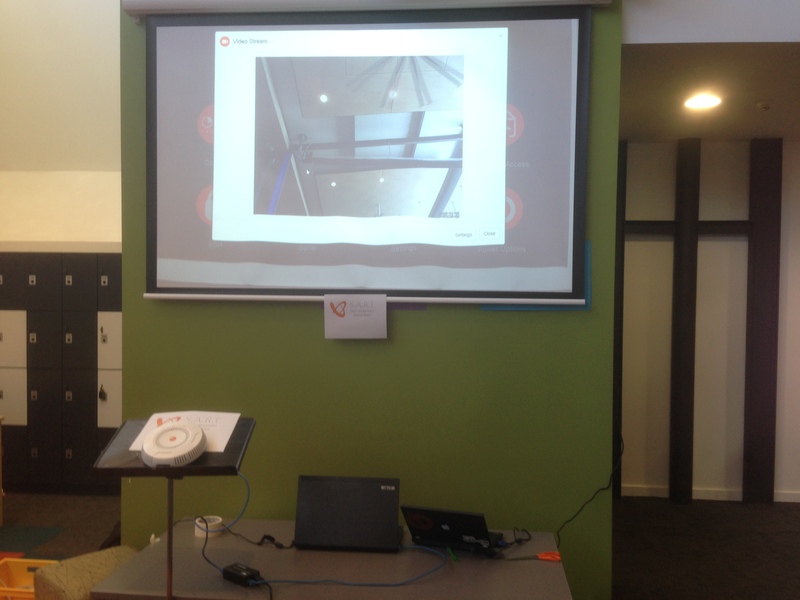 We’ve featured our $400 access point on a lectern (by request of Aaron). Over the course of the evening, with the stream running constantly, the laptop playing the stream received 6GB of data. Over at the S.A.R.T Workstation, we had a monitor set up with our website video playing in a continuous loop. Above that monitor was the webcam feeding the stream. 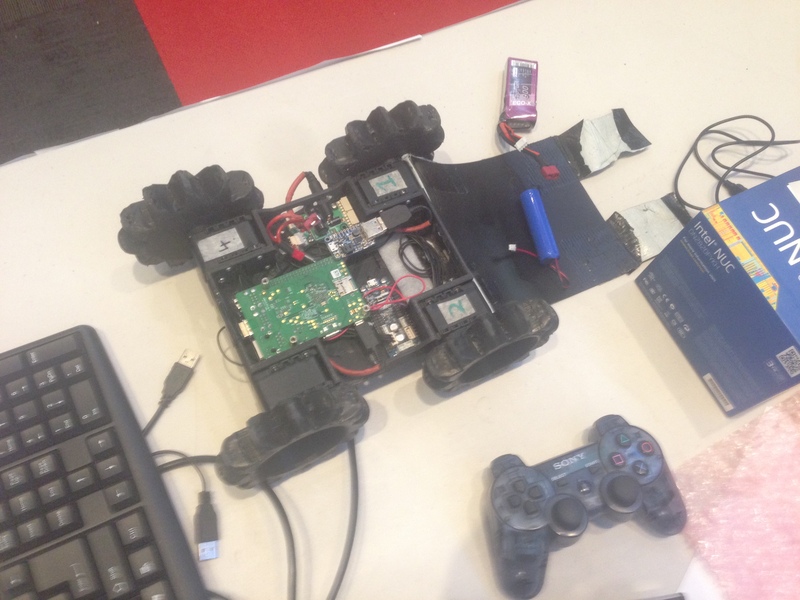 Aaron and I worked on the old S.A.R.T v1, trying to get the robot working again. We succeeded towards the end of the evening and were able to give a short demonstration. At some point in the near future we’re going set up streaming on the Raspberry Pi to make a comparison between the old S.A.R.T v1 and the new S.A.R.T v2 that we’re working on now. Overall the evening was a huge success. With the help of the rest of the IT crew at St Francis Xavier College, we think we’ve convinced a new generation of students to consider Information Technology as an elective course in the future.